This site (also available as an app) offers users the chance to share and view brief video clips. 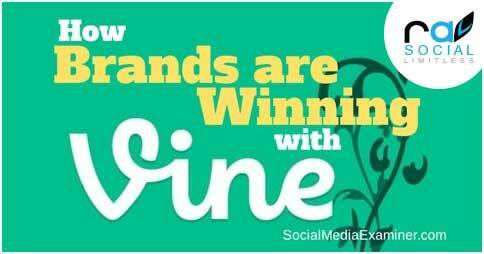 While that theoretically offers a virtually endless range of uses, most of Vine’s content is entertainment-focused, with a heavy preference towards “viral” and “meme” clips that are easy to share. Vine video-sharing app that allows users to easily create six-second movies on their handheld devices. Once a user downloads the Vine app, they can create a six second movie by piecing together brief video clips into one continuously-looped video that will play right in the Twitter timeline. Since Vine is owned by Twitter, once you sign in to the app your Twitter profile information will be automatically transferred to Vine. You can then view all of your friends’ Vines and start creating your own micro-movies with a few clicks of a button. The challenge, of course, is to showcase your humor chops in such a short window of time. Is it possible to tell a funny “story” in just six seconds that will make people laugh? Turns out, it is not only possible, but there are a few popular Vine users who are absolutely killing it.